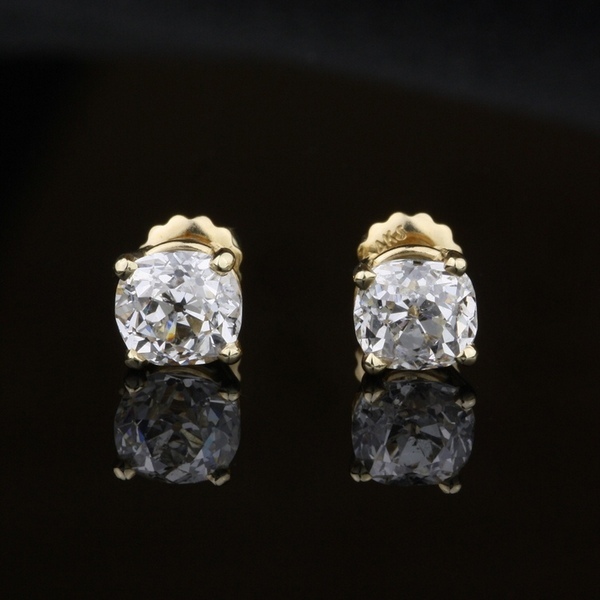 Diamond stud earrings are constantly in fashion because of their exquisiteness and simplicity. Diamond studs intensify any look; whether it’s classic or contemporary. We select only the finest quality and immaculate diamonds to create our diamond stud earrings. Round, Princess, Cushion or Marquise you can find it all in different size and colors. We set two perfectly matched diamonds in your choice of metal from yellow gold, white gold, rose gold or platinum.